Give your guests some relaxing hang time with a cool drink when you give them Football Green Drink Tickets at your next game. 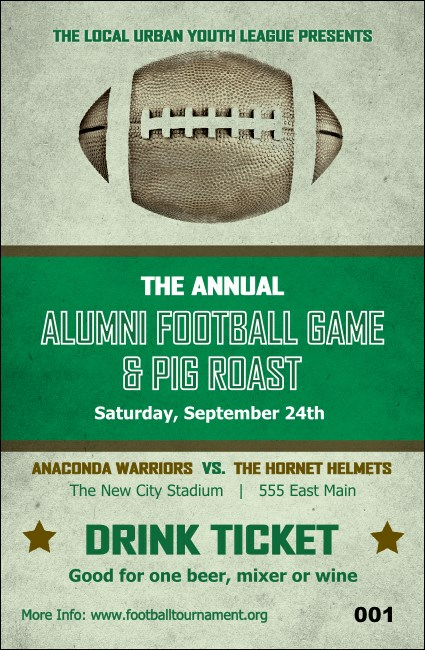 Each ticket template includes an awesome vintage design with a bold green stripe in the center and the picture of a pigskin on top. Keep your event secure with sequential numbering on every ticket. Advance your game at TicketPrinting.com.